Ημερίδα "Βιοκαύσιμα: από την παραγωγή στο καύσιμο - "Φυτεύουμε" βιοκαύσιμα, αλλάζουμε την ενέργεια"
Conference: "Payment Card Fraud Trends - Legal Aspects"
The ICC YAF Conference will be an ideal forum for young practitioners to exchange thoughts on international arbitration, and to enrich their network in the region. This conference is aimed at young arbitration practitioners of approximately 40 years and under: counsel, arbitrators, corporate counsel or academics. The International Hellenic University is proud to announce that our four-member student team of the LLM in Transnational and European Commercial Law, Mediation, Arbitration and Energy Law (class 2014-2015), under the scientific supervision of Prof. Em. Dr. Athanassios Kaissis and Dr. Komninos Komnios, will be supported by the State Scholarship Foundation of Greece (IKY) covering the travel and accommodation costs of their participation in the Frankfurt Investment Arbitration Moot Court Competition, which will be held from 7 to 12 March 2016 at the University of Frankfurt am Main. The Frankfurt Investment Arbitration Moot Court is an international student competition focusing on investment protection. The students present their arguments orally before tribunals of arbitration composed of investment treaty specialists. 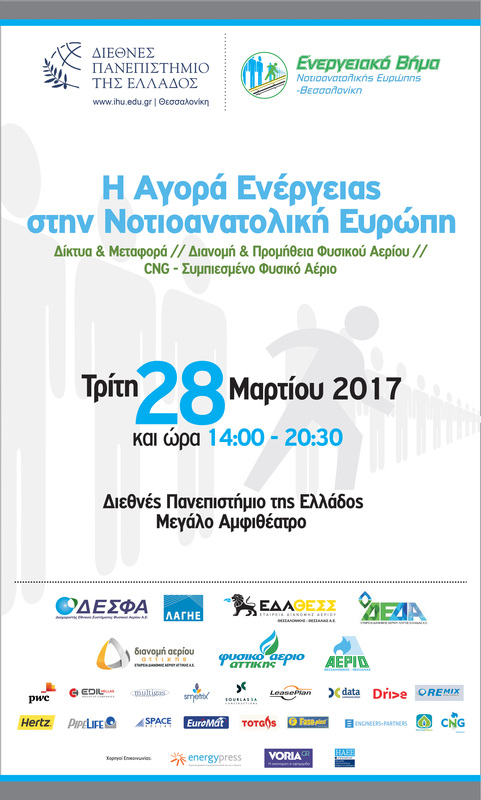 The International Hellenic University and the Southeastern European Energy Forum – Thessaloniki, are organizing a conference entitled “Natural Gas and LNG:New Developments in the Southeastern European Market”, on Tuesday January 26th 2016 from 16:30-20.30 on the premises of the International Hellenic University (I.H.U. 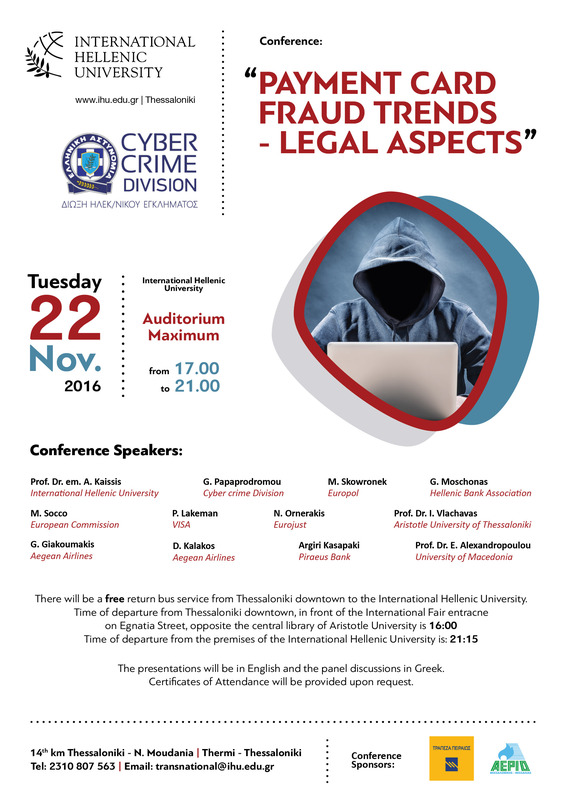 ), Main Auditorium, Thermi, Thessaloniki. The Law Faculty of Heidelberg University is holding on 6 November 2015 an academic memorial event in memory of Professor Dr. Dr. h.c. Othmar Jauernig, one of the most important German Law Professors. Prof. Dr. em. Athanassios G. Kaissis, Member of the Governing Board of the International Hellenic University (IHU), Scientific Director of the Legal Studies at IHU and Corresponding Fellow of the Institute for Foreign Law, International Law, Comparative Law, Conflicts of Law and International Business Law of the University of Heidelberg, is invited as speaker in order to honor Prof. Jauernig’s profound impact to the development of Law both in Germany and internationally. He will present the contribution of Prof. Jauernig in Civil Procedural Law (“Das zivilprozessuale Werk Othmar Jauernigs”). For further information please see the programme of the memorial event (in German). On July 20th 2015, Prof. Dr. Athanassios Kaissis, the scientific director of Legal Studies at the International Hellenic University and member of the Governing Board of the International Hellenic University, was elected as an Associate Member of the International Academy of Comparative Law (http://iuscomparatum.info/). The International Academy of Comparative Law was founded at The Hague on 13 September 1924. The Academy considers the stimulation of research in comparative Law throughout the world to be its main role. Following an initiative by Professor Kaissis, an "Agreement for Collaboration and Scholarly Exchange" was signed between the International Hellenic University and the Ruprecht Karls University of Heidelberg on behalf of its Institute for Comparative Law, Conflicts of Laws and International Business Law. The purpose of the agreement is to establish relations between the two universities specifically in the area of European, International and Comparative Law to enhance education, research, development and knowledge transfer in these fields through collaboration and exchange programmes, joint research activities, teaching and information flows. The two universities also look forward to organising joint events such as workshops, conferences and summer schools. Please find attached the undersigned text of the "Agreement for Collaboration and Scholarly Exchange"
Click here to read the interview of Professor Dr. Athanassios Kaissis, featured in the latest issue of the magazine "Enopion", published by the Thessaloniki Bar Assosciation. Professor Kaissis talks about the Legal Studies programmes of the International Hellenic University. The interview is in Greek. One graduate student of our LLM in Transnational and European Commercial Law and Alternative Dispute Resolution was proposed by the Academic Faculty of International Hellenic University to make a speech at the 9th Annual EU Tax Law Students Conference of the Queen Mary, University of London. The conference took place on 14th March 2014 and the title of her speech was "State Aid in the Form of Tax Measures in Carriage of Goods by Sea". 31 March 2014, 6:00 p.m.
"To arbitrate or to mediate? Join us for a day! Join the International Hellenic Legal Studies faculty and students for a day! Attend a class for free and get a taste of the International Hellenic Universities Legal Studies programmes. You can attend up to three hours. Participation is limited to three persons each time. The International Hellenic University awarded Prof. Dr. Dr. h.c. Herbert Kronke an Honorary Degree in a ceremony in Thessaloniki on 20 April 2013. The Honorary Doctorate was bestowed by Prof. Dr. Athanassios Kaissis. In admitting Professor Herbert Kronke to the award, the International Hellenic University paid tribute to a man who is regarded as a pioneer in the field of Transnational and European Law. In his speech of presentation, Professor Kaissis also thanked Professor Kronke for his contribution to the development of the LLM in Transnational and European Commercial Law and Alternative Dispute Resolution programme of the International Hellenic University. Herbert Kronke is Professor of Law and Director of the Institute for Private Law, Conflict of Laws and International Business Law at Heidelberg University (on leave) and Arbitrator at the Iran-United States Claims Tribunal in The Hague. From 2010 to 2012 he was Dean of the Faculty of Law. From 1998 to 2008 Professor Kronke served as Secretary-General of UNIDROIT. Professor Kronke is author of some 150 books and articles in the fields of contract law, commercial law, company law and capital markets law, conflict of laws, international civil procedure and arbitration.He is a member of the Working Group on International Commercial Practices of the National Committee of the ICC, the ICC Commission on Arbitration, the German Institution of Arbitration and the Swiss Arbitration Association, the London Court of International Arbitration (European User Group), the panels of the China International Economic and Trade Arbitration Commission (CIETAC) and the Cairo Regional Centre for International Commercial Arbitration. He serves both in ad hoc, ICC and other institutional arbitrations. On 16 June 2013, Prof. Dr. Thomas Pfeifer, University of Heidelberg, Vice-Rector for international Affairs, University of Heidelberg, visited the premises of the International Hellenic University and conducted a workshop under the title "The Common Market Sales Law" at the International Hellenic University for the students of the "LLM in Transnational and European Commercial Law and Alternative Dispute Resolution". Prof. Dr. Thomas Pfeifer talked, amongst other recent legal issues, about the Proposal for a Regulation of the European Parliament and the Council on a Common European Sales Law. 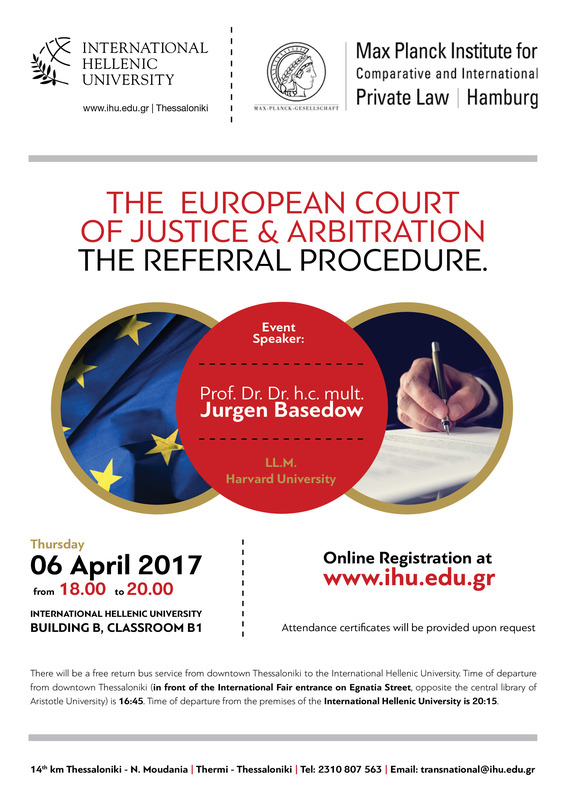 "Conference on Arbitration and Alternative Dispute Settlement in Germany, Greece and the Balkan States"
The Conference is free of charge but it is necessary to register online by using the form below. Certificates of attendance will be provided upon request. The working language of the conference is English, with simultaneous translation in Greek. Transfer to IHU: There will be a free return bus service from downtown Thessaloniki (opposite from the Main Ceremony Hall of the Aristotle University of Thessaloniki on Egnatia Street) to the International Hellenic University. Time of departure is 09:00 (please arrive before that - priority will be given on a first come first served basis). The conference is of interest for business lawyers, in-house counsel and executive managers but likewise for academics – professors and students – and all persons interested to learn more about international and domestic arbitration and alternative dispute settlement. As many of the cross-border contracts in commerce and trade today contain arbitration clauses and many more should do, the importance of arbitration as a dispute resolution mechanism can hardly be overstated. It therefore always is a sound decision to attend a conference focused on this field of law and commerce and to join in the discussion of the international business community. "Law without Frontiers" is the title of the Essays in Honour of Athanassios Kaissis, professor at the Aristotle University of Thessaloniki and Member of the Governing Board of the International Hellenic University, on the occasion of his 65th birthday. The liber amicorum is worthy of this title; More than 70 authors from a dozen jurisdictions take the reader on a trip from Germany to Europe, to Brazil and China. The contributions deal inter alia with important and current issues of European, foreign and international civil procedure law. A list of all the contributions can be found at www.sellier.de (http://www.sellier.de/pages/en/buecher_s_elp/festschriften/890.recht_ohne_grenzen.htm). We are happy to inform you that it has recently been announced that Professor Athanassios Kaissis is to be honoured with the title of Corresponding Fellow of the Institute for Foreign and International Private and Economic Law of the University of Heidelberg. It is worthy of note that the title of Corresponding Fellow of the Institute for Foreign and International Private and Economic Law of the University of Heidelberg was last awarded prior to World War II. Professor Kaissis is a longstanding member of the Governing Board of the International Hellenic University and is responsible for the new law programmes to start in October, the MA in Art, Law and Economy and the LLM in Transnational and European Commercial Law and Alternative Dispute Resolution. The teaching of Transnational Commercial Law was the focus of a fruitful meeting hosted by the International Hellenic University on 3 October 2011. 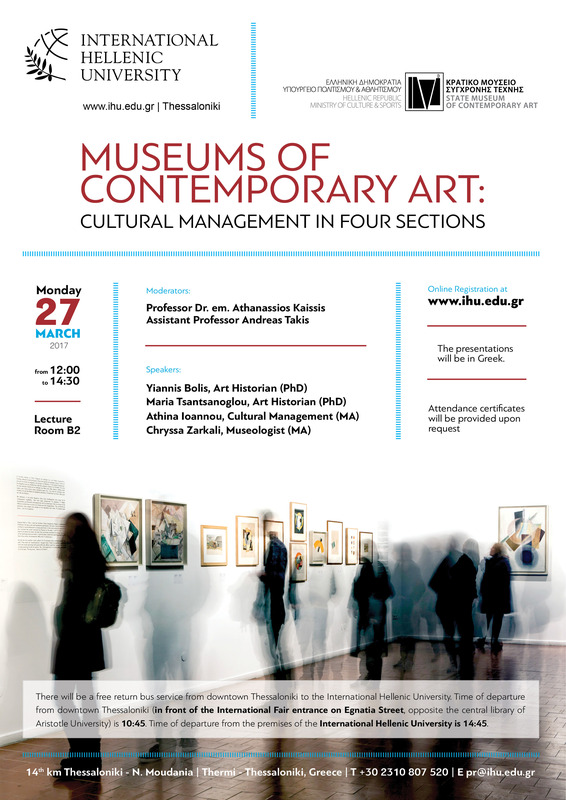 The meeting was organized by Professor Athanasios Kaissis. Professors of law from around the world, acknowledged experts in the specific field, attended the meeting and proffered their valuable knowledge, knowhow and expertise. With the new IHU postgraduate programme “LLM in Transnational and European Commercial Law & Alternative Dispute Resolution” about to be launched, its structure and curriculum was a subject of discussion, with extremely useful contributions made by the visiting participants. Prof H. Kronke from the University of Heidelberg, Prof. C. Pejovic from Kyushu University, Prof. P. Winship from Southern Methodist University, Dr. M. Király from Eötvös Loránd University, Dr. S. Huber from the University of Heidelberg, Ms A. Dimolitsa and Dr. O. Fleig from the University of Heidelberg attended the meeting. The participants were welcomed by Professor C. Grammenos, President of the Governing Board, who presented the educational and research activities of the IHU, with a special reference to the new postgraduate programmes. Professor A. Kaissis, member of the Governing Board, followed with a speech describing in detail the features of the new LLM programme in Transnational and European Commercial Law and Alternative Dispute Resolution, which has recently been approved by the Greek Ministry of Education. A presentation was also given by Mrs. A. Dimolitsa, a leading ICC arbitration expert, who dealt with the hot topic of the new ICC arbitration rules. In the afternoon session of the TCL Meeting, Professor N. Moussiopoulos, Vice President of the Governing Board, presented the achievements and goals of the IHU School of Economics and Business Administration. Professor H. Kronke (Heidelberg University), former Secretary General of UNIDROIT, shared his valuable insights about this important institution, the decision-making process and the efficiency of its instruments. The session concluded with an interesting lecture on arbitration given by Dr. S. Huber (Heidelberg University). Professor P. Winship (SMU), Professor M. Kiraly (Dean of ELTE University), Professor C. Pejovic (Kyushu University) and Dr. O. Heig (Heidelberg University) enriched the discussion with their remarks. All participants, professors, academic assistants and students benefited from a very productive exchange of views and work experiences during the meeting. Click here to view the photo gallery of the event. The Deputy Minister for Education and Research of the Federal Republic of Germany, Mr Thomas Rachel, visited the International Hellenic University on 3 October 3 2011, accompanied by the Consul General of Germany, Mr Wolfgang Hoelscher-Obermaier. The visit gave the Deputy Chairman of the Governing Board of the IHU, Prof. Nicolas Moussiopoulos, and member of the GB, Prof. Athanasios Kaissis, the opportunity to inform the guests about the progress so far of the first Greek Public University that offers programmes of study exclusively in English and about the university’s research activities. Professor Moussiopoulos stressed the fact that the International Hellenic University places a strong emphasis on close cooperation with industry, following similar successful practices of other European countries. The Deputy Minister recognised the size of the task facing the university administration of creating an outward-oriented higher education institution with clear development benefits and offered his congratulations on the very positive results so far. He promised to seek to deepen existing partnerships with counterpart institutions from Germany and to uncover possibilities for new partnerships.